He's a good boy and his mom will tell you that. 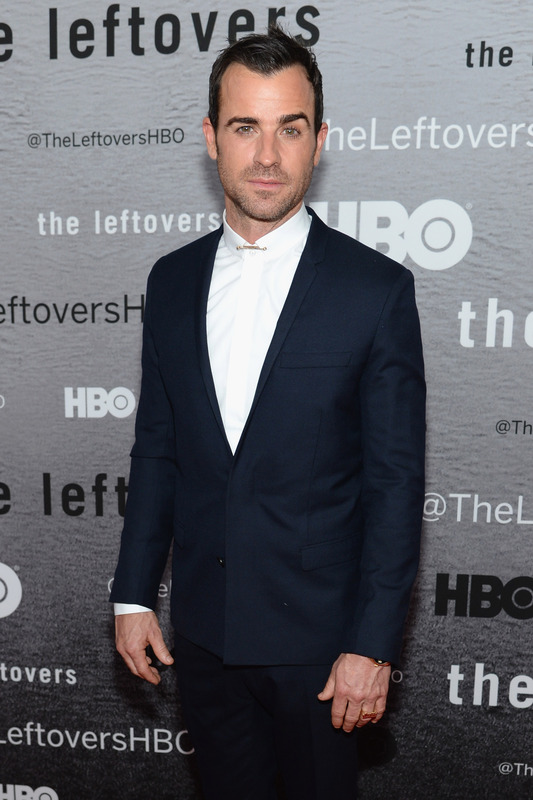 The Leftovers star and alleged Hollywood "bad boy" Justin Theroux has a bunch of mugshots on the internet, but apparently, they're all fake. (Or are they?) On Thursday night, Theroux stopped by Jimmy Kimmel Live where he talked about his reputation for being a bad boy even though he's, well, not. And I believe him, considering how Theroux's candidly talked about his romance with fiancée Jennifer Aniston in the most sappy way possible lately. Also because these fake mugshots are totally, hilariously ridiculous. Kimmel jokingly grilled the Leftovers star about his "bad reputation," prompting the 42-year-old actor to call on his mother's word to support his claim that he's actually a "good boy." Theroux told Kimmel, "I think I'm a good boy. I would like to think so. My mom thinks so — if you call her up right now she would tell you that." We believe you, buddy — no bad boy would be able to keep a straight face while saying he'd want Aniston with him if the Rapture came. Theroux played along with Kimmel's grilling before he jokingly said, "I think you can't really come into Hollywood without a couple of mugshots under your belt." And then told the host to "Google it" when Kimmel acted surprised that the star was implying a less-than-squeaky-clean record. #7 — During A "Dark Period"
#6 — Corpse Mugshot For "Fishing Without A License"
#5 — Getting Booked For "Ivory Poaching"
This looks more like an awkward family photo and a mugshot. And it's amazing. Can I hug whoever made this? #1 — "At A Kiss Concert"